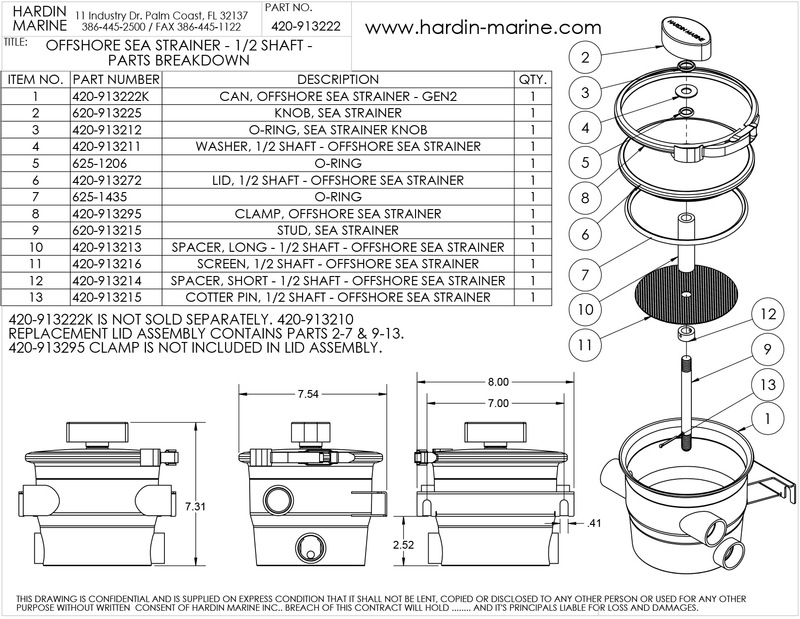 Designed to fit Hardin Offshore Generation 2 (420-913222) Sea Strainers only. NOTE: This item is listed for informational purposes only and is not for sale separate from 420-913222. This is a 1/2" hole replacement Sea Strainer Lid. This clear-view lid allows unrestricted visual inspection. Designed to fit Hardin Offshore Generation 2 Sea Strainers only. Note: Replacement part for 420-913222 sea strainer. This is a 1/2" hole replacement Complete Sea Strainer Lid Assembly. This clear-view lid allows unrestricted visual inspection. 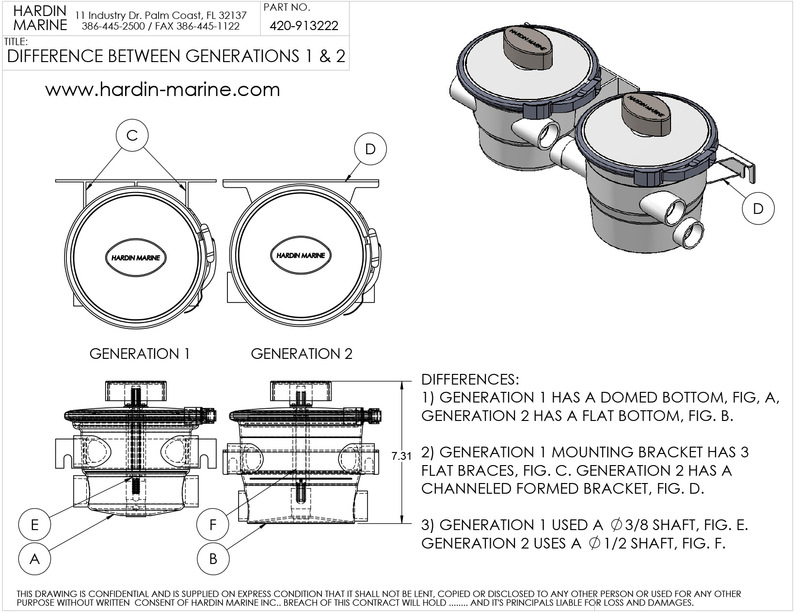 Designed to fit Hardin Offshore Generation 2 Sea Strainers with 1/2" studs.